In case you haven’t heard yet, parts of Europe got the Zootopia figures (Nick Wilde and Judy Hopps) for Disney Infinity! The North American release is still set for March 1st. So thanks to that early release, we get a chance to take a look at how the characters play like and what their skill tree looks like. 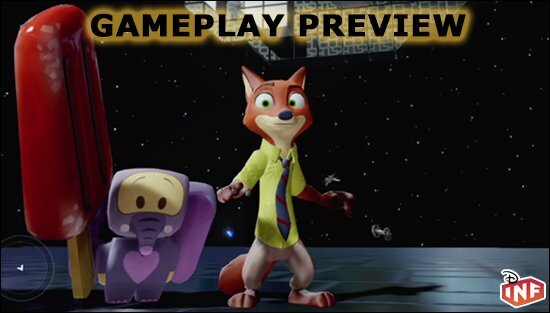 Here is the gameplay of Nick Wilde followed by Judy Hopps as taken by my friend Sheriff Woody over at DisneyInfinityFans.com! And while you’re there, make sure you join in on the discussion!